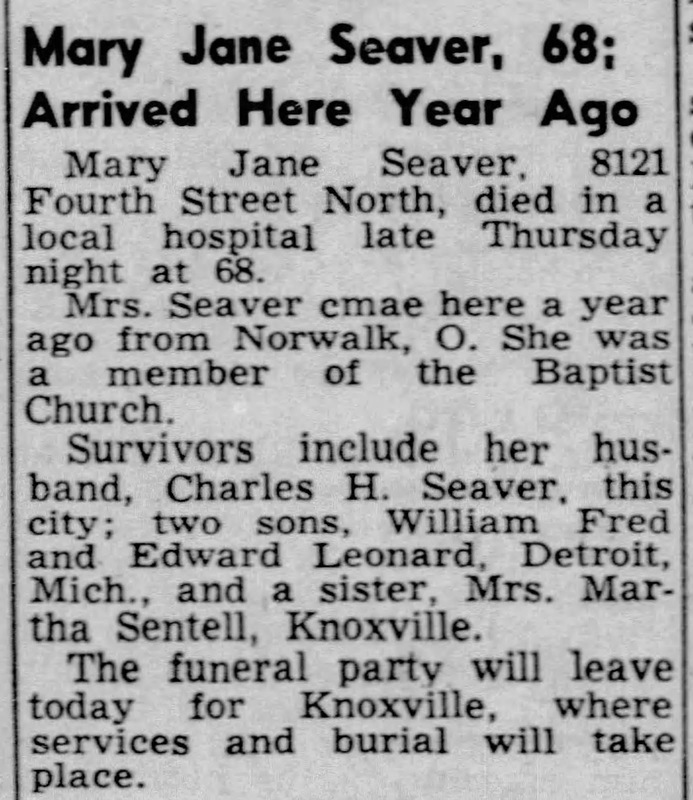 Genea-Musings: Seavers in the News - Henry T. Seaver Dies in 1942 in Newton, Mass. 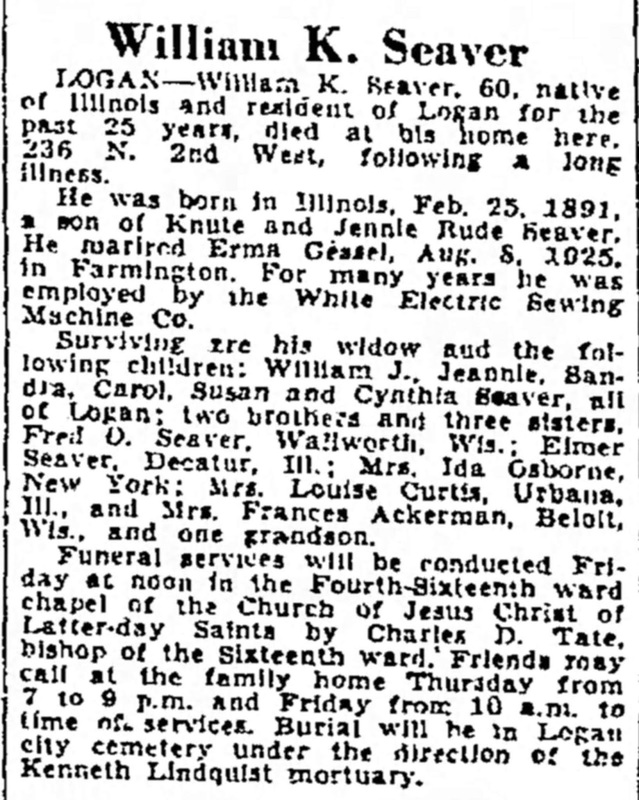 Seavers in the News - Henry T. Seaver Dies in 1942 in Newton, Mass. NEWTON, April 9 -- A delegation of 90 members of the Fire Department, chiefs from surrounding cities and towns, city officials and members of the local American Legion post attended funeral services held this afternoon at St. Mary's Episcopal Church, Newton Lower Falls, for Deputy Fire Chief Henry T. Seaver. Rev. Roger W. Bennett, pastor, officiated. "Acting in the capacity of chief, Deputy Chief Seaver, 48, of 656 Grove st., Lower Newton Falls, died Tuesday night after he had collapsed while battling a brush fire. He had been deputy chief since 1936. "Fire Chief Clarence W. Randlett led the delegation. Honorary pall bearers were Arnold Bake, commissioner of the auxiliary Fire Department; Charles B. Floyd, president of the Board of aldermen; former Mayor Edwin O. Childs; State Representative Douglass B. Francis, William H. White and Roger B. Tyler. "Active pall bearers were James R. Ford of Engine 2; Lieut. John R. Marchant, Engine 4; Lieut. John Martin, Engine 1; Lieut. George Saunders, Engine 3; Lieut. Joseph P. Murphy, Engine 5 and Lieut. James J. Clark, Engine 2. "Burial was in St. Mary's cemetery." "Henry T. Seaver," The Boston [Mass.] 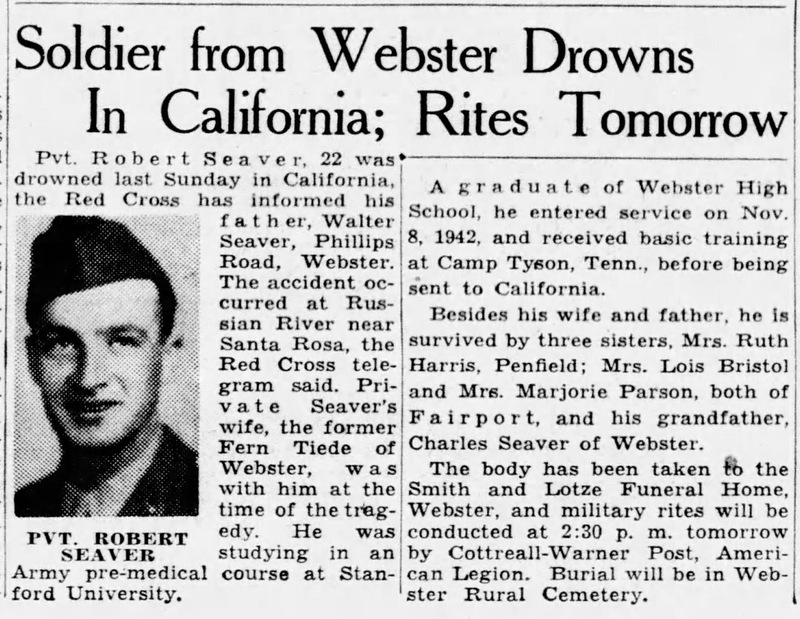 Globe newspaper, Friday, 10 April 1942, page 30, column 6, Robert Seaver obituary; Newspapers.com (https://www.newspapers.com : accessed 17 January 2019). This obituary is virtually family history free. There is no mention of a birthplace, or parents, or siblings, or spouse, or children, etc. The only helpful items are his name, his age, his date of death (implied as 6 April 1942), his home address, and his burial place. Henry Turner Seaver (1893-1942) was born 28 June 1893 in Newton, Massachusetts to Joshua Herbert and Ida Eliza (Turner) Seaver. He married Anna Myra Loud (1897-1971) on 14 December 1922 in Newton. They had no children. Henry Turner Seaver is my 6th cousin four times removed.